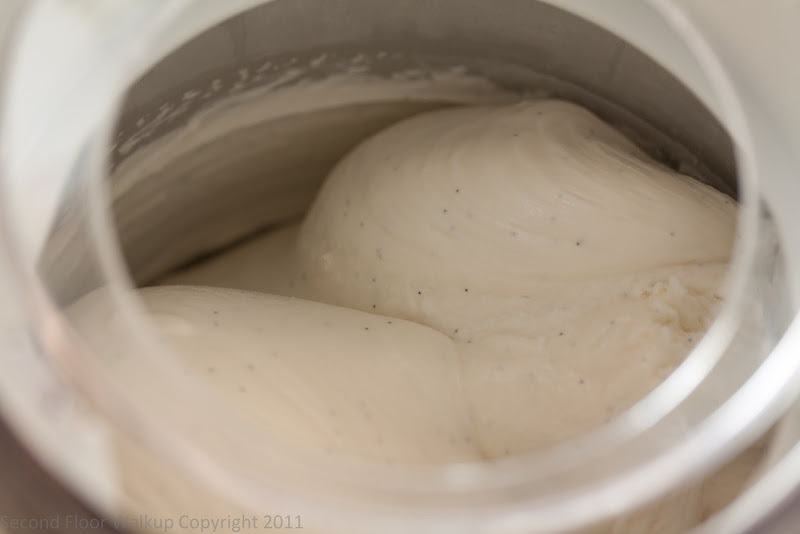 My parents gave me an ice cream maker for my birthday last year, but, seeing as how it was November, it stayed in the box for months. With temperatures finally breaking 80 degrees, I decided to dust off the box, and put the ice cream maker to use. 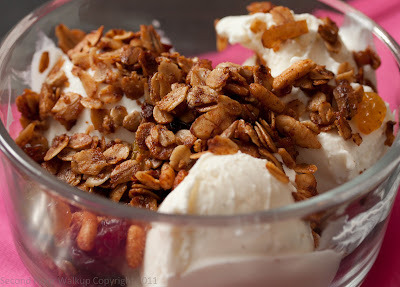 I flipped through The Perfect Scoop by David Lebovitz and found that frozen yogurt seemed to be the easiest to make (no heating a custard on the stove and waiting for it to cool, no chopping and macerating of fruit). 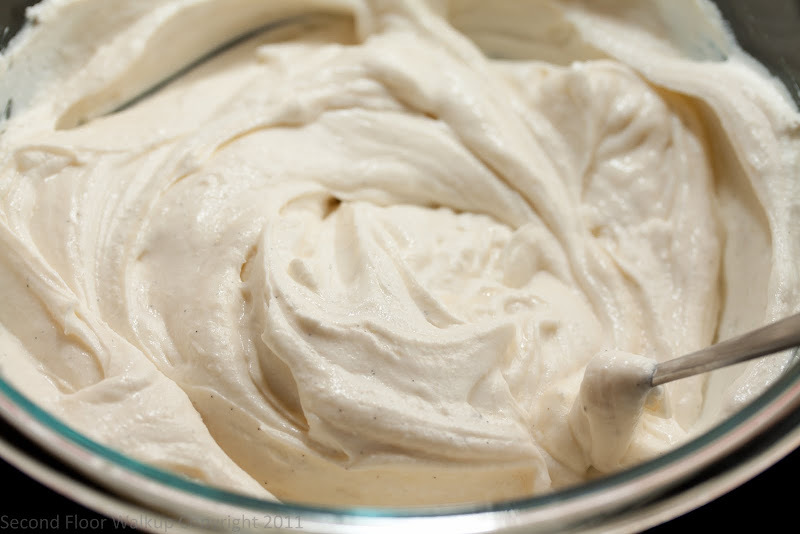 The recipe below is based on his recipe for creamy vanilla frozen yogurt, which uses Greek yogurt in place of normal. 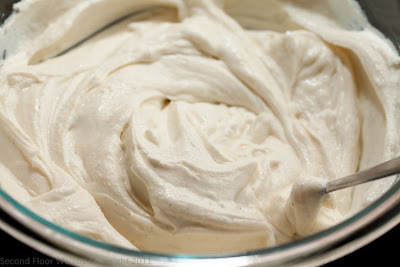 I added some fresh vanilla for taste and appearance. 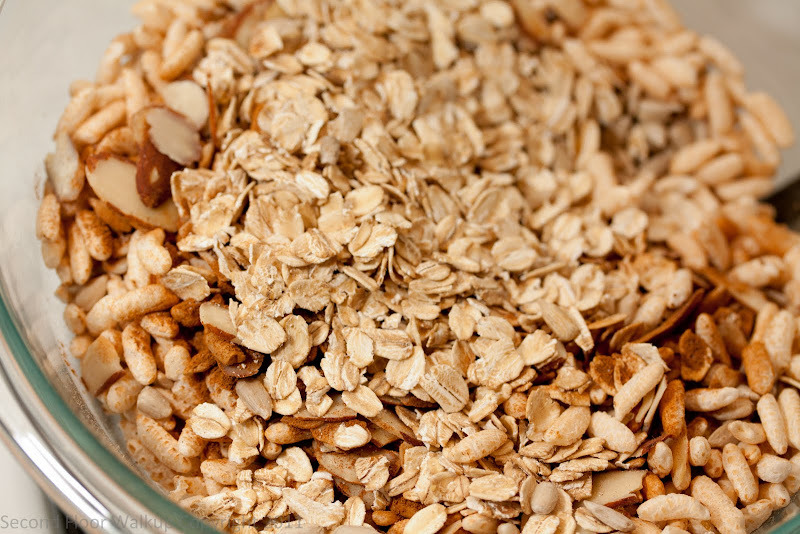 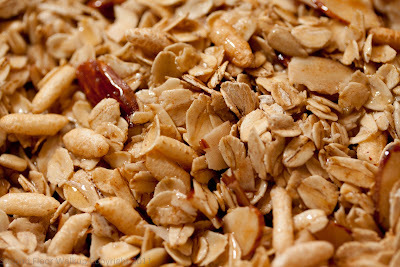 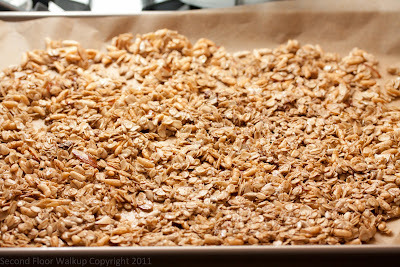 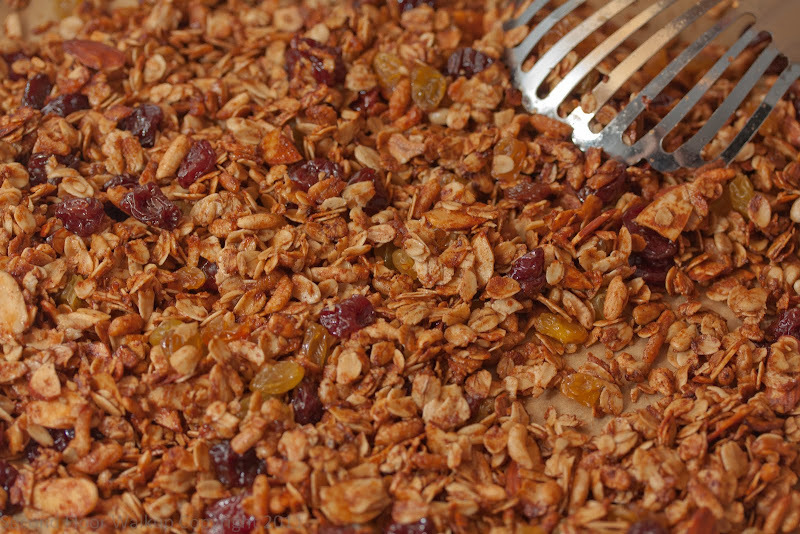 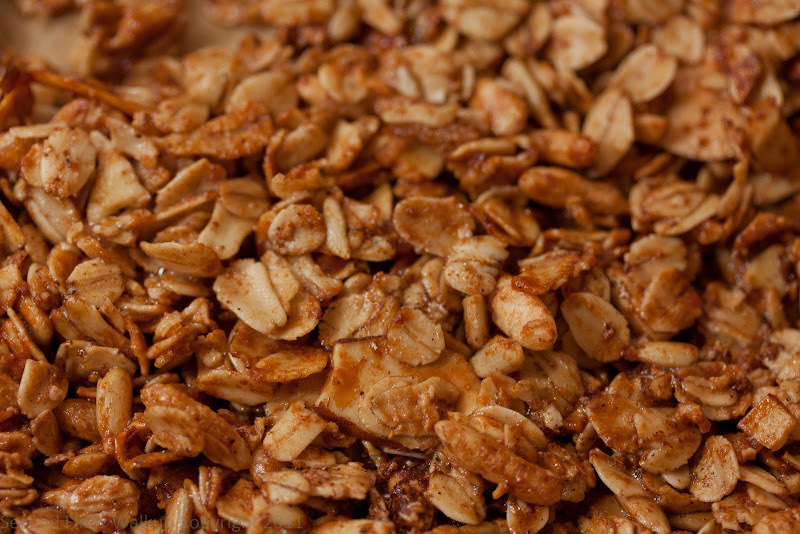 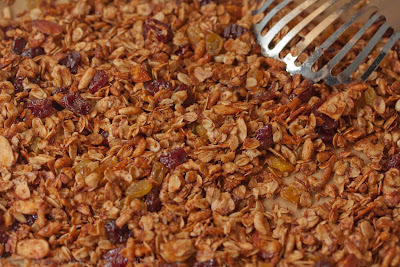 The granola was also really simple to make and turned out to be awesome; I ate it for breakfast with non-frozen yogurt every day last week. While the recipe only takes about 30 minutes to make, your ice cream maker bowl usually needs to freeze overnight before it can be used. 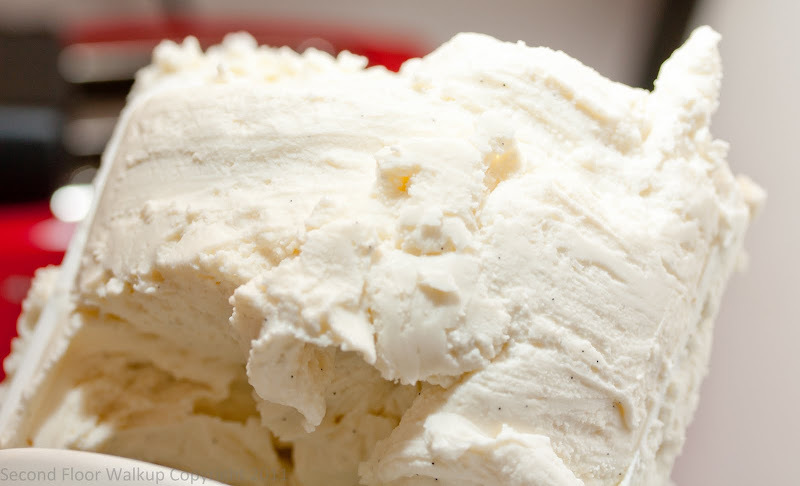 I store mine in the freezer so I don't have to plan ahead. 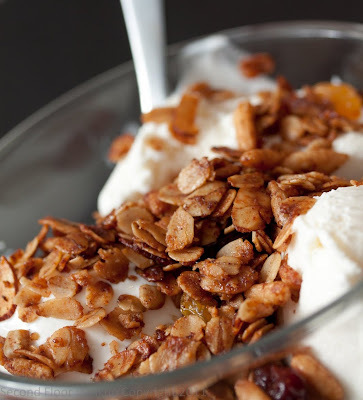 Notes: When frozen for a while, the yogurt got really hard and dry. I removed it from the freezer, let it sit for about 15 minutes, and then it was back to the right consistency. 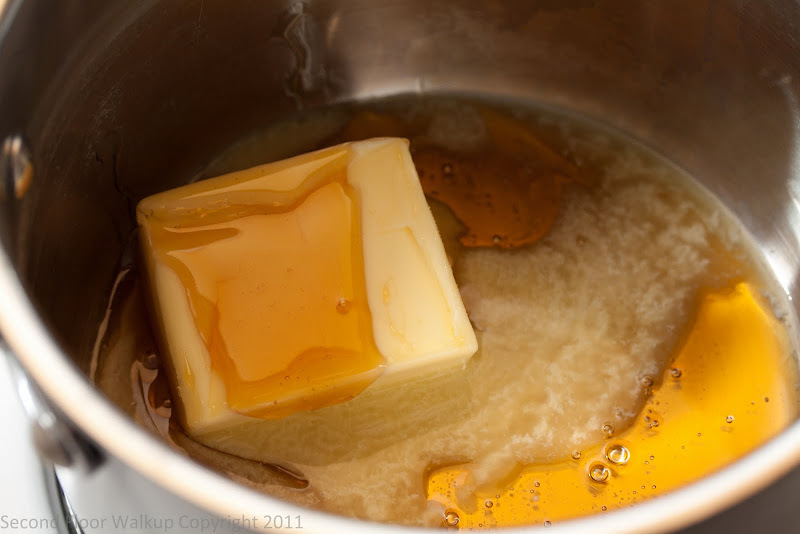 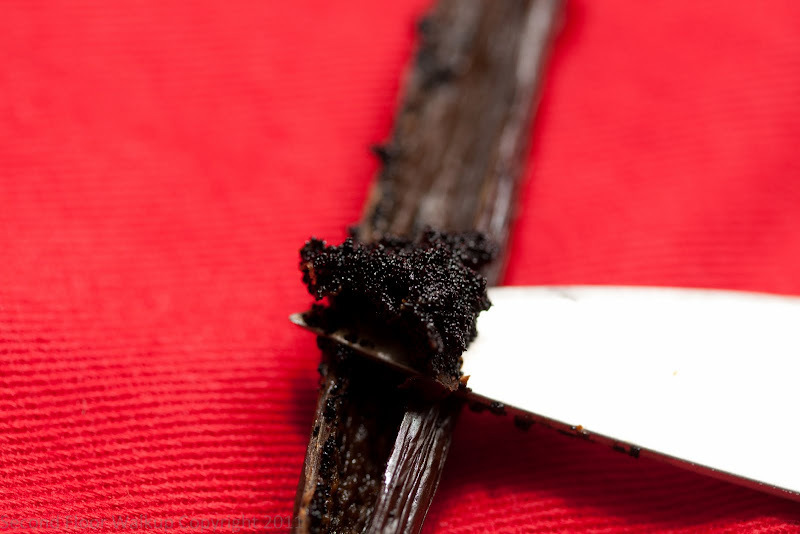 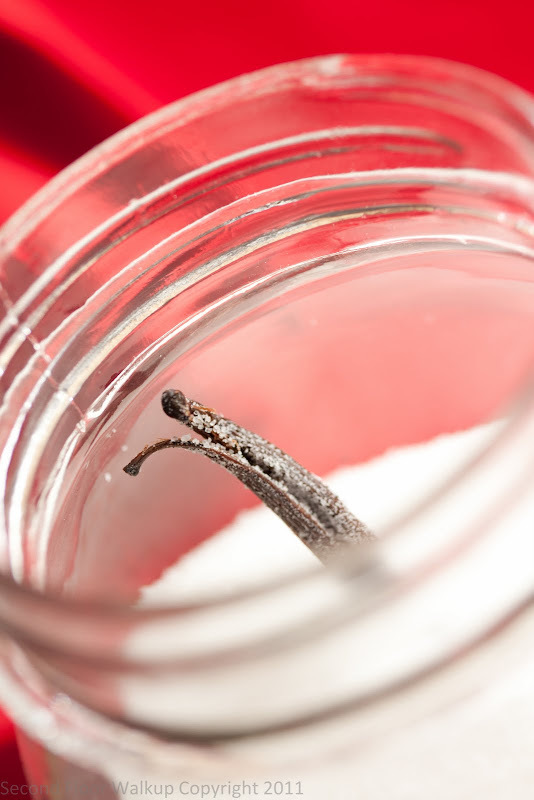 Place your spent vanilla bean in a jar full of sugar to make vanilla sugar - great for cookies, coffee, and pretty much anywhere you would want the deliciousness of sugar and vanilla at the same time.